Ventura County Community for a Clean Watershed and the Ventura County Integrated Waste Management Division are offering 50-gallon, gravity-fed rain barrels and 55-gallon compost bins at reduced prices. Their rain barrel and compost bin program is designed to encourage residents to conserve water and recycle garden and food waste. Residents can use the barrels to capture rainwater from their home rooftops, which means free access to thousands of gallons of reusable water. Without a water catch system, the water would typically flow down streets, into storm drains and out to sea. 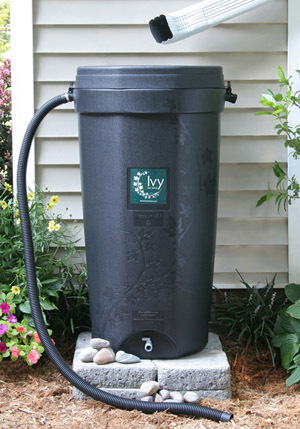 Water collected by rain barrels can be used to water trees, gardens and lawns. Creating your own compost is an easy way to reintroduce healthy nutrients to the soil, reducing the need for chemical and pesticide use. Adding compost to gardens and landscapes also promotes root growth and allows the soil to better retain water. Rain barrels and compost bins can be purchased through the programs website, www.rainbarrelprogram.org/venturacounty, using a credit card, or by calling (919) 835-1699. 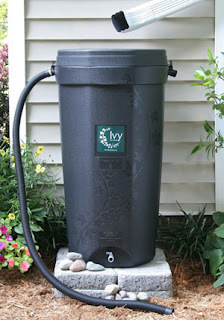 The rain barrel cost is $75 plus tax and the compost bins are $55 plus tax. To check rain barrel rebate eligibility, go to www.socalwatersmart.com. The deadline to order either item is February 4. Supplies are limited. Barrels and bins can be picked up on Saturday, February 11 at two locations: Ventura County Government Center (Parking Lob B and C, 800 S. Victoria Ave., Ventura) and Calleguas Municipal Water District (2100 E. Olsen Rd., Thousand Oaks). All barrels and bins must be pre-purchased. Bring a copy of your email purchase confirmation when picking up.